In the following United American Review we will discuss the company’s history, financials, ratings, products and best life insurance policies. We do this so you can make you won educated decision of whether or not United American Insurance is the right company for you—based on your own needs, goals and objectives. With so many life insurance companies in the U.S. it is important to stay on top of the current trends in the marketplace. It is this commitment to keeping up with the latest trends that allows TermLife2Go to consistently offer our clients the best life insurance quotes from the top rated life insurance companies. 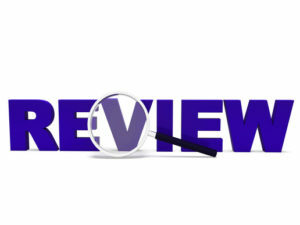 We do this in part by creating life insurance reviews, such as this United American Review. History – When United American Insurance took its first step into the market back in 1947, it had just one employee who also happened to be the Founder and President; C.L. Dunlap. As the years went on, more people got on board with the project and the business actually moved location a number of times in order to facilitate for the growth they were experiencing. Towards the mid-1970s, the team had grown to 400 and their parent company, Torchmark Corporation, were suddenly looking for a new headquarters after their initial home in Dallas had grown too small. However, they were actually forced to move again within twenty years thanks to their workforce of 500 which was still growing. Today, the headquarters can be found in McKinney after construction finished on a brand-new building over a decade ago. Finances – As of 2017, they now operate within 49 states as well as the District of Columbia. Helped by over 1,000 employees, the business now has over $1.6 billion worth of assets as well as nearly $800 million worth of insurance currently active. In figures from December 2013, it also seemed as though they had over half a million policies in force which is a huge milestone for the company and one they’re set to use for motivation in the future. To assess the financial position of United American Insurance, we’re going to trust the ratings of some key agencies. By looking at the ratings of official agencies, we get a fuller picture for how United American Insurance has performed within the market over the course of their history. Today, we’re going to start with the agency that seems to get the most attention and there’s a good reason for this. A.M. Best – Within the market, A.M. Best has been operating for over 100 years and they’ve actually been watching and assessing Universal American for almost half of this time at 40 years. Whenever an official agency has been watching a company for this length of time, you know you can trust their rating because you have the whole backlog of ratings to assess. As of July 2017, United American Insurance has a rating of A+ which is actually a very tricky grade to get and one that most life insurance companies wold be jealous of. Essentially, the rating means they’re in ‘Superior’ health moving forward and that we don’t have anything to be concerned about regarding their finances and ability to pay claims they face. Over the course of 100 years, United American Insurance has weathered several storms in the economy and they’re in a great position to weather many more. Standard & Poor’s – Rather than looking at the overall financial picture, Standard & Poor’s is an agency that will assess the credit rating of any given company. With this rating, you’ll know how able the provider is to pay their liabilities including interest, claims, and loans. In 2015, S&P awarded United American with a rating of AA- which is actually very good and one that is likely to attract the attention of the masses. With United American, as well as their parent company Torchmark Corporation, they’re in a great financial position and it looks set to stay this way for some time to come. Better Business Bureau – While some agencies don’t give a rating to every single company, there are other agencies you can rely upon time after time and the Better Business Bureau (BBB) definitely falls into the latter category. With United American Insurance, it’s even better news because the file was actually started in 1950 which means they’re just three years out from having assessed this one company for 70 years straight. With these sorts of reliable agencies in the market, it’s no wonder there are more ratings available now than ever before. Currently, United American is accredited and they have the very best rating of A+. For those of you who have never seen the BBB rating system previously, all companies are marked on a scale from 0 to 100 depending on the number of complaints they receive, their business practices, advertisement issues, and many other factors. With the rating of A+, it means United American Insurance has joined the elite club of financial companies with an A+ rating (a score of above 97). Customer Service – With United American, their customer service is very strong as you would expect for a company with so many customers; a significant portion of their customer base is likely to be people who have been recommended by previous customers. If you visit their website for contact information, you’ll be met by a superb contact form where you can start the process by entering exact details on what information you require. From here, enter your name, address, location, and a few more details before leaving a message in the ‘How May We Assist You?’ box. With this type of service, it enables you to reach out to the correct department immediately. With the traditional route of providing just one email address for everything, a large portion of the waiting process is actually just getting your email into the right hands so this is a major improvement. If you need immediate assistance and cannot wait for the reply, there are also a couple of phone numbers but the company seems to emphasize their contact form above all else. With United American Insurance, the products are split into four main categories depending on your needs. If you’re only interested in life insurance, this is the section for you because we’re going to uncover the facts regarding United American’s two main offerings; term life insurance vs whole life insurance. Depending on your needs, you might want a policy that only covers your mortgage or you may require a policy that stays in place until death and both of these can be achieved with ease. Level term life insurance provides a death benefit for a set period of time (chosen by you). At the end of the term your policy expires. If you want to continue coverage after this, your premiums are likely to increase or your death benefit will drop, or both. Considering the average funeral now costs around $8,500, having no insurance means your family and friends will have to deal with this with no support. Instead of having a death benefit they can receive as you pass away, they’re left having to scrape the money together and this process has left many families in debt in the past. Let’s not forget, they’ll also lose your salary too so it’s a double-effect and one that some struggle to recover from while others can’t recover at all and the debt passes down to children. Are you looking for something a little more long-term? If so, whole life insurance is the one for you because it’s essentially the same but it has a few key differences; not only will it last until you pass away with no end date, you also have a cash value account that grows over time. Later in life, you can use this fund to take a loan and earn other funds so it can be incredibly helpful. Once the policy is in place, you won’t ever experience an increase in premiums which is a huge advantage because it means you’ll pay the same at 83 as you will at 43 (or whatever age you are now). Despite this option being more expensive, it lasts the test of time and will stay in place as long as you continue to make the payments. As far as riders go, United American Insurance doesn’t offer too many life insurance riders but they do have one main offering and it follows their health and critical illness focus; Hospital Outpatient rider. Once this has been installed onto your policy, 50% of out-of-pocket deductibles, coinsurance, and co-payments will be made by your provider. As long as you’re under the age of 63, this rider could just save your finances for another day by providing support for any trips to the hospital you’re forced to take. First, each year employers and unions struggle to know the best way of providing coverage to retired individuals. Now, United American has a solution in the shape of their Group Retiree Health coverage which has guaranteed acceptance, an option to choose providers, and custom-built coverage. Next up, United American doesn’t offer health insurance to be used as the foundation of health coverage but it does provide Medical Supplement plans for those who already have some form of insurance in place through their place of work or any other source. As long as you’re under 65 and eligible for the coverage with no disability, the premiums will be based on your ability to qualify as Standard or Preferred as well as taking into account your gender, age, etc. As soon as many retire, their healthcare plan expires and this causes all sorts of issues for millions of Americans every single year. While Medicare will work towards covering some healthcare costs, they can’t come close to covering them all which is why United American Insurance offers Medical Supplement plans to take charge of the excess fees and concerns. With a guaranteed renewable feature, you’ll be in good hands alongside portability (it stays with you even if you happen to change your career), group options, and a secure policy as long as you continue paying the premiums in full and on-time. Although we prefer not to think about this taboo subject, there are millions of Americans who felt the same before then being forced into debt after being diagnosed with cancer or another critical illness. With critical illness insurance from United American Insurance, you have an opportunity to cover yourself against these illnesses with a guaranteed renewable policy, options for your family, secure policy when the premiums are paid, and flexibility if you move jobs half-way through the policy’s life.